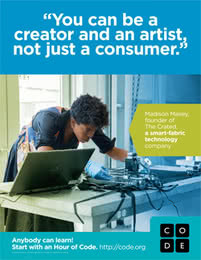 "Innovation Economy Powered by Tech"
​"Innovation economy Powered by Tech" in New Mexico! Watch the Community Video Here! 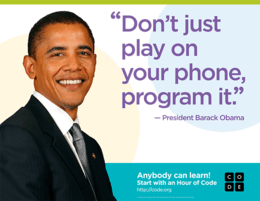 "Hour of Code™"is a national initiative started by Code.org® to introduce millions of students to one hour of computer science and computer programming." 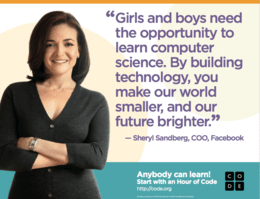 Code.org® is "a non-profit dedicated to expanding access to computer science, and increasing participation by women and underrepresented students of color. 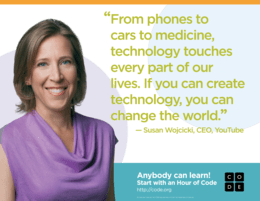 Code.org's vision is that "every student in every school should have the opportunity to learn computer science, and we believe computer science should be part of core curriculum, alongside other courses such as biology, chemistry or algebra." 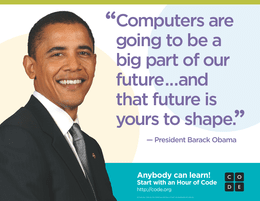 and will support Computer Science Education Week this year. 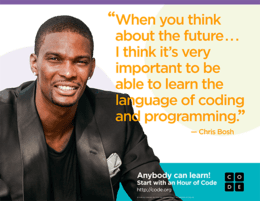 I am willing to try an "Hour of Code"TM, ​, OR host or sponsor an event at my school, library, business, or community site! After completing our regional registration, we recommend adding your event to the national online map here. 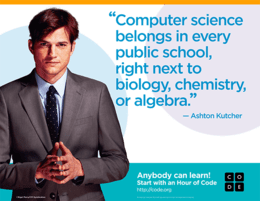 Help promote Computer Science Education! 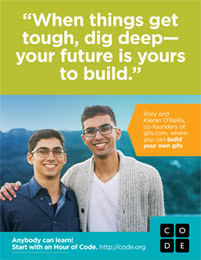 Order posters now for your classroom, business, or children's school! and access many helpful resources online.